If you’re selling your home or contemplating doing so, there are some Metro Atlanta home selling issues to consider. While to ultimate goal of any real estate transaction is for complete satisfaction for every party involved – from the buyer to the agent to the seller to the lender – sometimes it just doesn’t work out that way. What happens if – prior to the close of the sale – somebody gets cold feet, buyer’s remorse, or the seller has second thoughts? As the seller, how can you get out of the sales transaction without making too many waves? Can you? NOTE: Although we never work for sellers or list homes for sale, as exclusive buyer's agents, we can help you by referring you to the most qualified listing agents in the marketplace, due to our experience in working with these agents over the years. Even though we always work only for buyers and never for sellers, we offer these tips on Metro Atlanta home selling recommendations to potential home sellers who may be in the process of or starting to think about selling their home. More often than not, deals that progress to the contract stage usually close without a major hitch. However, sometimes there are Metro Atlanta home selling issues that can kill the deal or put a bad enough taste in the mouth of the seller that he changes his mind. And, you can back out of the transaction as long as you have the proper contract contingencies along with ample communication with your real estate agent – but you need to be vigilant and don’t wait too long. One key to backing out of the contract is to work with an experienced real estate professional. 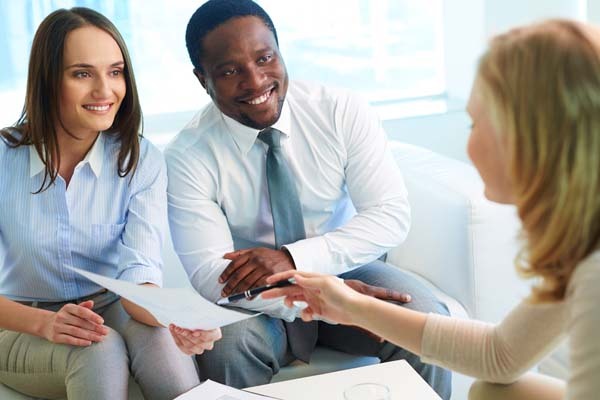 Make sure you and your agent are both on the same page when it comes to issues like the sales price, closing date, contingencies and negotiable items such as who’s paying closing costs or other seller concessions. By keeping the lines of communication open with your real estate agent and consulting with him or her during every part of the home selling process, sellers are more informed – and better equipped, perhaps – to anticipate items that may arise regarding their home and what prospective buyers may want to negotiate. If you’re readying your house for the market, or if it’s early in the home-selling process, an open and honest discussion with your real estate professional may save you time and trouble. Sit down with your agent and explain that you’re not ready, you’re having second thoughts, or you want to put the process on the back burner temporarily. A good, experienced agent will usually be very receptive as to how you feel – honestly, nobody wants to go through the agony of trying to sell a home only to have the seller change his mind down the road. Bring up any Metro Atlanta home selling issues now and avoid the awkward and painful repercussions that may occur at a later date. Normally, sales contracts carry with them a contingency whereby the prospective purchaser (as well as the mortgage lender) be satisfied with the appraisal of the home and the findings of the home inspection report. Depending on the results of either, further negotiations could result between the buyer and the seller. In the current "seller's market" situation, it’s not unusual for an appraisal to come back lower than the agreed-upon sales price. In that case, additional negotiations and discussions must occur between each party to remedy the situation. Usually, its pretty simple: Either the seller agrees to lower his price or the buyer agrees to pay more money than what the appraisal was. Of course, a third alternative is that both parties walk away from the contract based on the contingency mentioned above. The same situation can occur with a home inspection – another of the Metro Atlanta home selling issues that could arise threatening a deal to fall apart. If certain problems were discovered during the routine inspection, the buyer may be more concerned – especially if the seller isn’t willing to pay to make the necessary repairs prior to the closing of the sale. The end result is that both parties – again, due to the contingency – will agree to back out of the contract. As with the contingencies mentioned above, it’s also normal for a typical contract of sale to include a contingency that says if the potential buyer can’t sell his current home, he’s not obligated to close on the new home. Some contracts may also include a contingency whereby the seller finds a new home by a certain date to ensure he has a place to move. If either scenario doesn’t occur, then either party can exercise the “kick-out” clause in the contract – enabling them to back out of the contract based on the contingency not being met. As soon as you are made aware of Metro Atlanta home selling issues that may trigger your desire to back out of the contract – act fast. Real estate experts say the worst thing you can do is wait. Typically, the buyer has more options when it comes to backing out of the contract than does the seller. When the seller wants to back out, the sooner he acts, the better off he will be. Waiting too long could mean you’re setting yourself up for a breach of contract – especially if there’s a third party involved who’s entered into a contract with the buyer or the seller for an additional purchase or sale. See more articles pertaining to Metro Atlanta home selling issues in the two sections of articles on Atlanta Home Selling Tips and Atlanta Homes for Sale just below Atlanta Real Estate Categories in the column to your right. Remember, we also post tips daily on Twitter and Facebook. Check us out there, too. « Metro Atlanta Homes for Sale Listing: What is a Sale Pending?